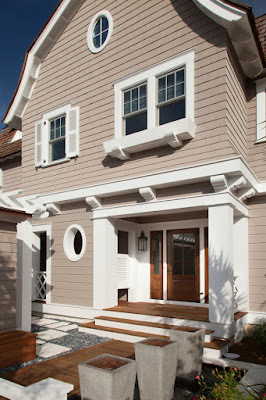 Designed by Paul Geary and and overseen by project manager Katie Milner, both from T.S. 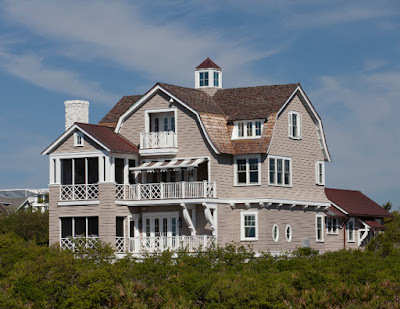 Adams Studio, Architects, this is certainly one of the most beautiful shingle style beach houses I’ve posted on this blog. Located on the Panhandle of Florida approx. 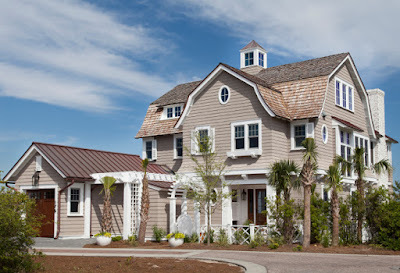 30 miles west of Panama City, and 20 miles east of Destin, FL, this shingle home features an impressive layout and classic coastal interiors that will definitely inspire you today. 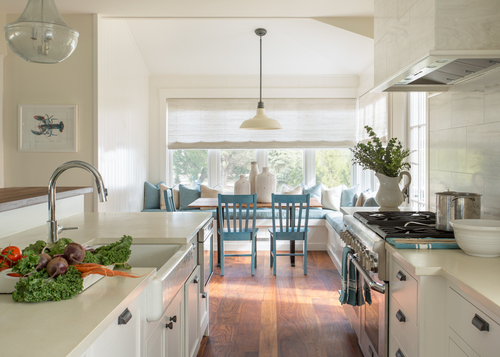 Take a look at the custom coastal kitchen with stained island and steel vent hood and the gorgeous butler’s pantry with retro appliances. The master bedroom and bathroom are yet another place you will fall in love with. Take notes on furniture, lighting and other designer sources. I hope you have fun! 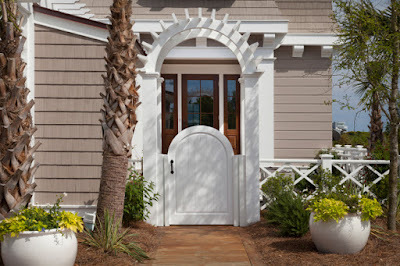 Beautiful architectural details are evident everywhere you look – inside and out! 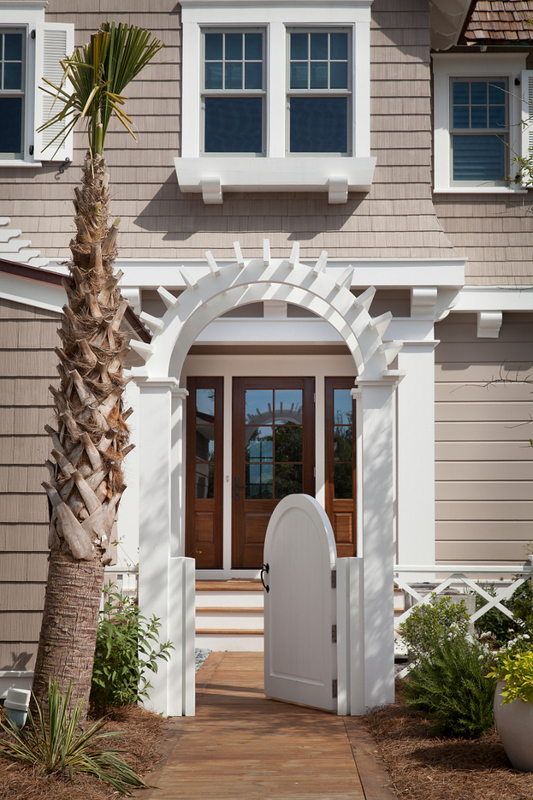 Inspiring custom white fence and gate. A fenced, and gated, front entry provides some privacy and security to this beach house. Similar tan exterior paint color: “Sherwin Williams SW 7508 Tavern Tan”. 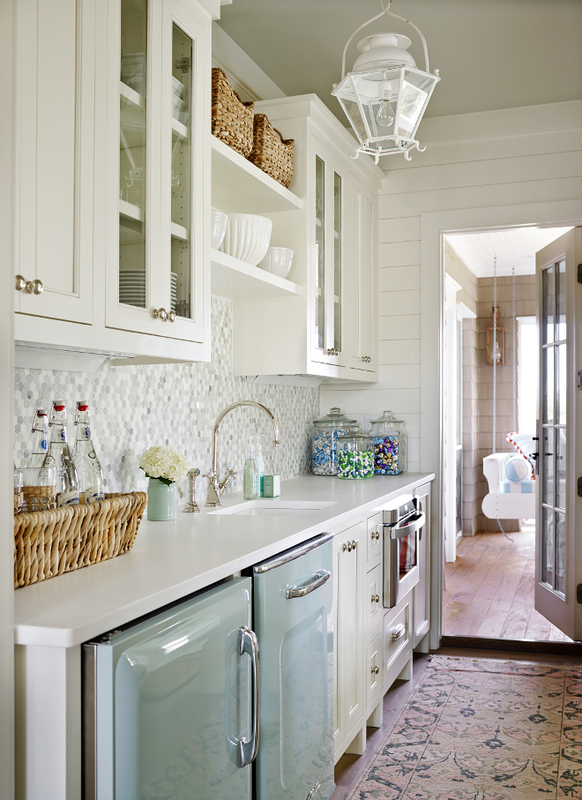 This coastal kitchen features plenty of storage, workspace and character. I am loving the walnut stained island and the swing doors with porthole windows. 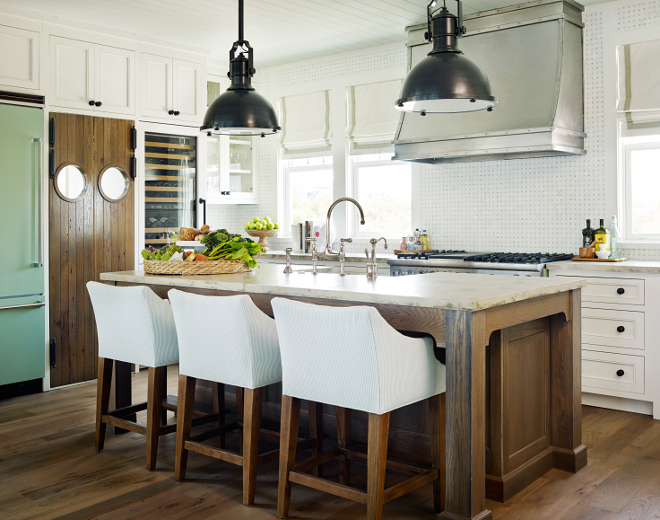 The slipcovered barstools are from Lee Industries. Texture is added to this living room with a painted brick fireplace, shiplap walls and soft slipcovered furniture. 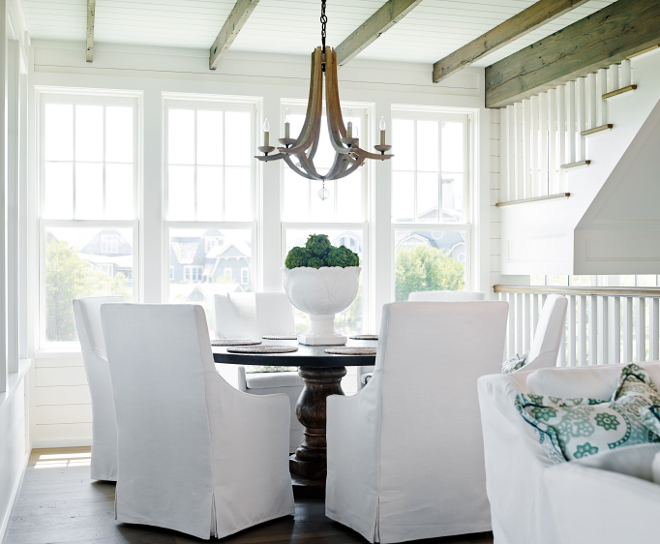 This dining room has everything I love; plenty of natural light, a round table and white slipcovered dining chairs. Chairs are from Lee Industries. It’s so easy to fall in love with this butler’s pantry, especially when you notice the retro dishwasher and the retro beverage fridge. Winners! The retro dishwasher is from Big Chill. 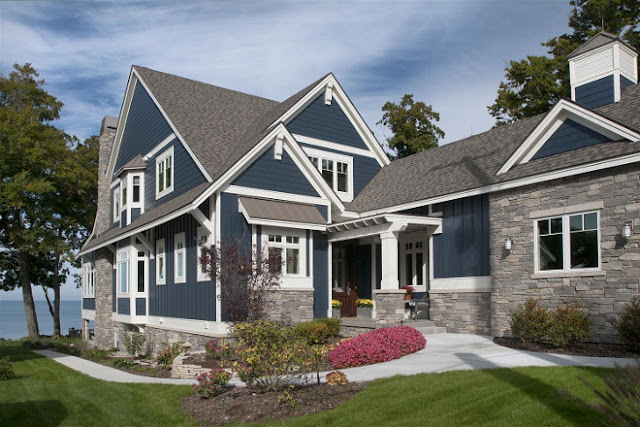 “Benjamin Moore Wythe Blue HC-143”. 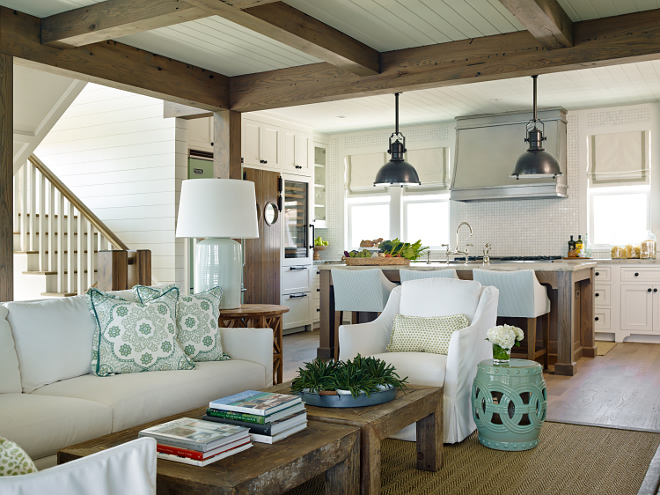 This cozy den is perfect to watch your favorite show or cuddle with a good book. Notice the framed retro-style swimsuits. Isn’t it a cool idea? 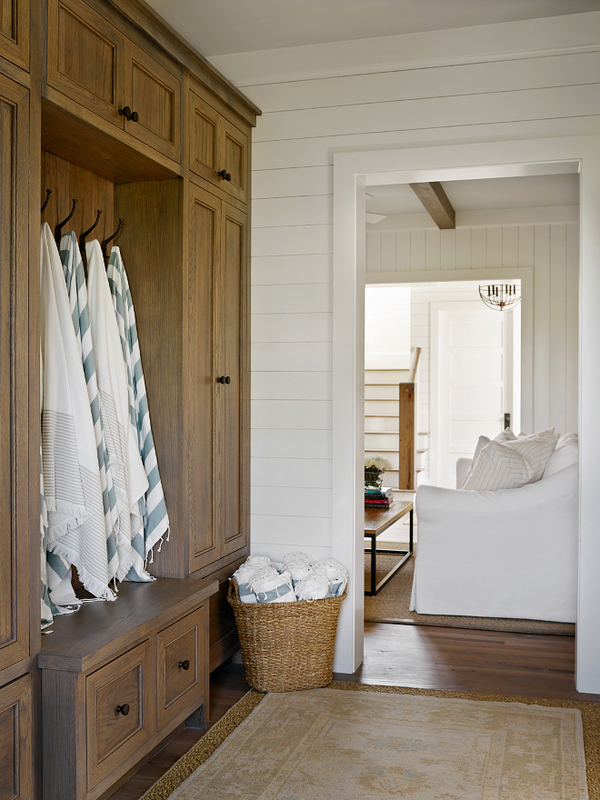 Just off the family room, this cozy mudroom features beautiful graywashed white oak cabinets and shiplap walls. 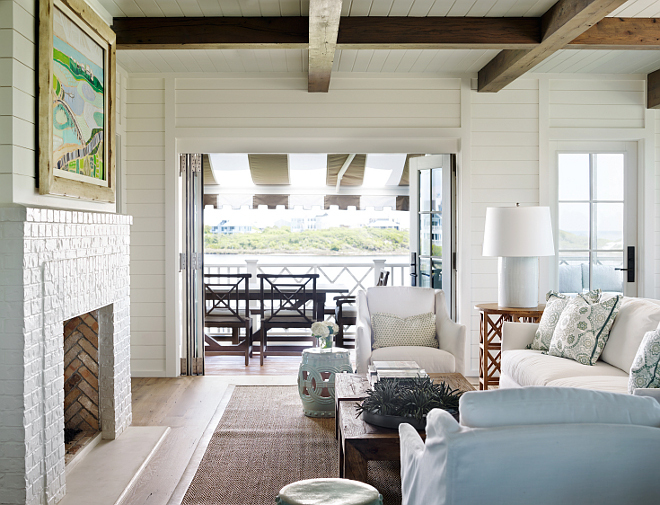 According to the architect, this sitting room is located off of the main living space. It is a place to get away from the main space if someone wants to read a book. The room has a great view of the north end of the dune lake. 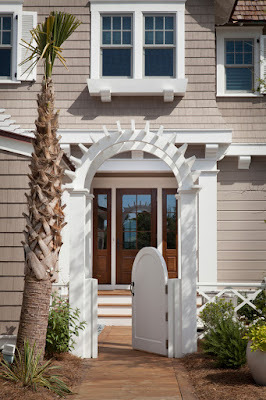 The door to the right of the photo accesses the rear porch that overlooks the Gulf. 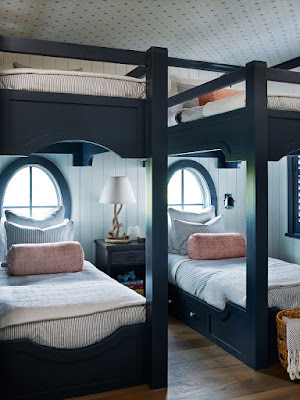 Stunning bunk room with oval windows and bunk beds painted in navy. This guest bedroom is as good as spending a day at the beach… I’m loving the bedding, the grasscloth ceiling wallpaper and the upholstered headboard. A seafoam green grasscloth wallpaper is complemented by the beautiful Ro Sham Beaux Malibu 1-Arm Sea Chandelier. 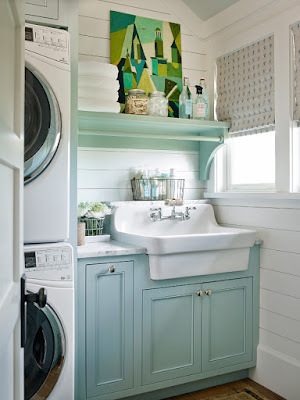 This bathroom features a small vanity with glass knobs, white marble countertop and shelf. The vanity comes with a built-in step stool at the bottom. It’s a step for one of the kids who couldn’t quite reach the sink yet. 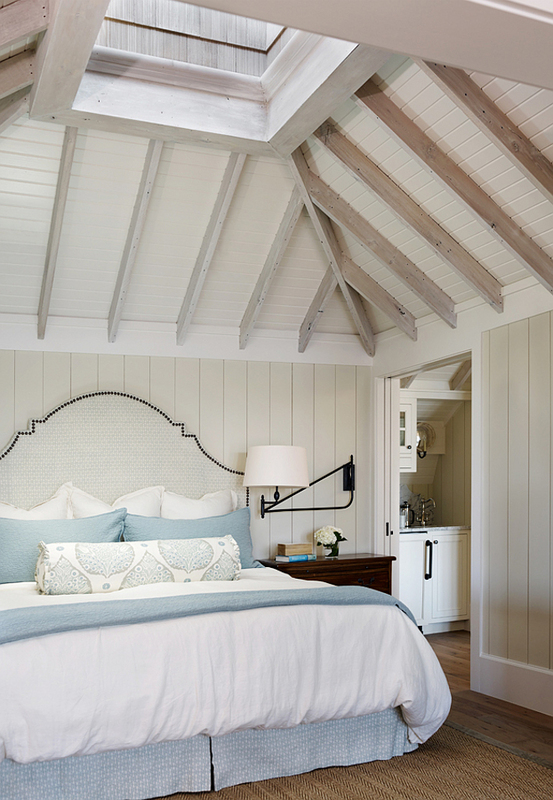 A cupola brings natural light and some extra charm to this stunning master bedroom. This is how windows should be placed when you have a nice view. 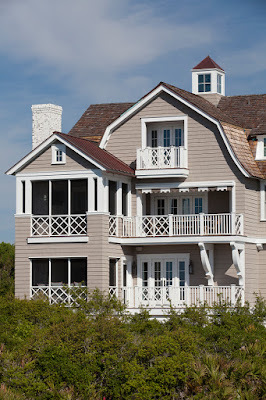 I often see bathroom windows placed way up high, which doesn’t allow you to see outside. The windows’ height here allows you to see the view while in the tub. An antique make-up vanity was added to this bathroom to create a special place by the freestanding tub. 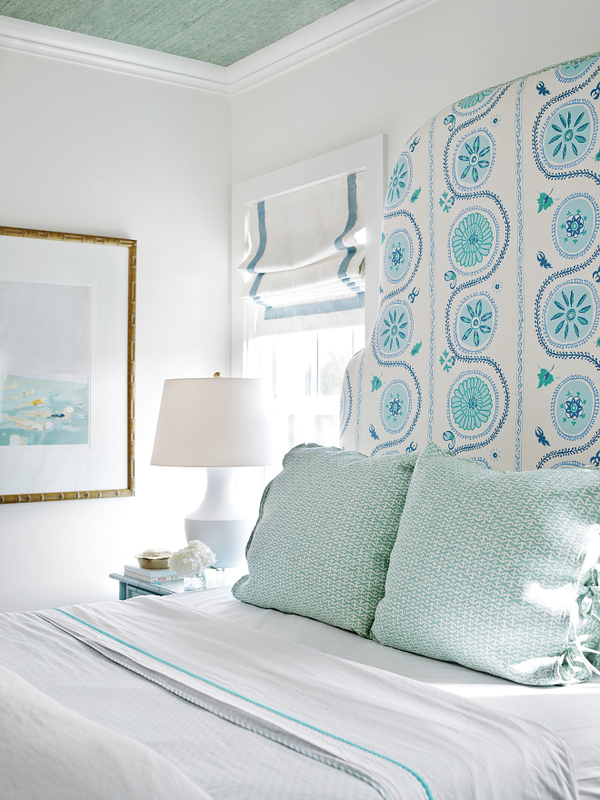 A slipcovered chair, wall sconces and an oval mirror finishes the look. 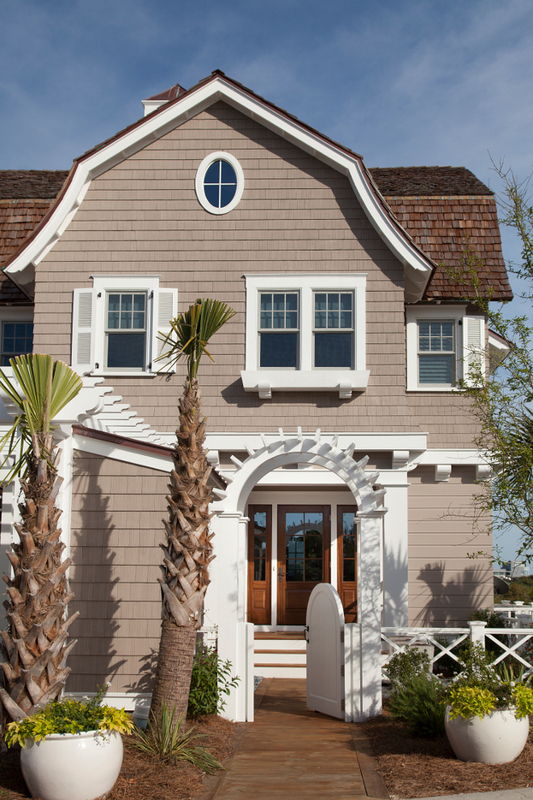 This beach house features architectural details that will certainly stand the test of time. Certain homes don’t fade away from our memories so easily, and I think this will be one of them. Sources: T.S. Adams Studio, Architects. Gulfview Construction. 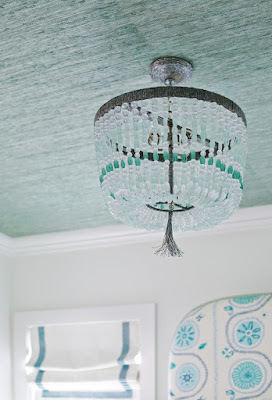 Interiors by Urban Grace Interiors. Emily Followill Photography. 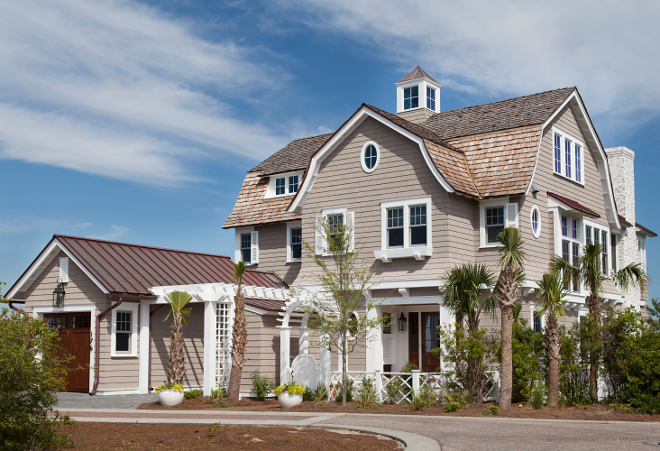 Designed by Wayne Visbeen and meticulously built by Mike Schaap Builders,this lakefront cottage features inspiring coastal interiors and a view that you won’t soon forget.